1. Do not use the RIBI website. It uses a different system. 3. This system is designed so that you are the only person who knows your username and password. If you forget either then you can repeat this process as often as is necessary. The only thing you need to do is to keep your email address up to date. Type your email address in the box and click on the 'Send' Button. When you click on send two things happen. The box below appears telling you that an email has been sent. Note the addition of some red writing. Do not enter anything in this box again. You can close this now. An email has been sent to you with further instructions. STEP 2: Find the email and carry out the instructions. Go to your email program and open the email from 'Template Admin'. Click on the blue writing 'password update'. 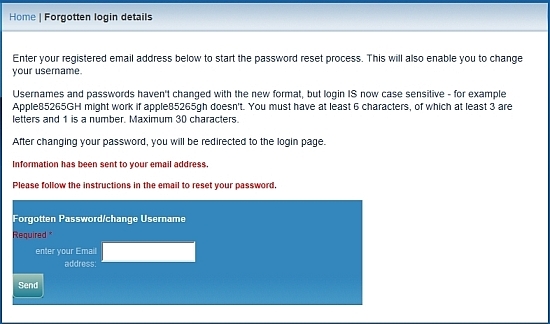 This should bring up a form for you to change your username and password. Go to your Internet Browser and paste this into the Address Box then press Enter. 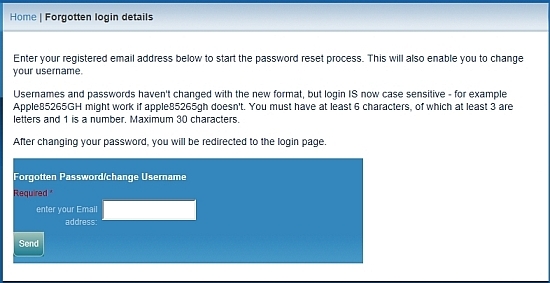 STEP 3: Enter your existing or new Username and Password. 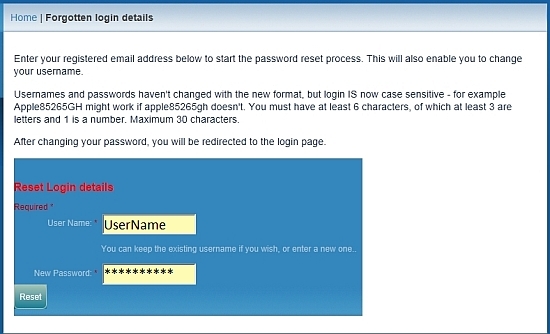 Read the instructions about creating a username and password. Decide on the Username and Password that you would like to use. Make a note of these so that you can use them next time you want to log on. Type them in the boxes. Click on the 'Reset' button. The only problem that you may have is if someone else is already using the username that you have selected. Choose another, type in and click 'Reset' again. This will now take you back to the login screen.